People looking for quick and simple weight loss sometimes look to the General Motors diet -- also known as the GM Diet -- as an answer. 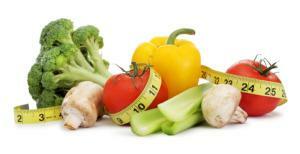 It is intended as a very short term diet, promising weight loss of 10 to 17 pounds within seven days. In one sense, the General Motors diet is a myth. According to the story, the diet was created by General Motors in the mid-1980s for its employees, supposedly with grant money from the U.S. Food and Drug Administration or the U.S. Department of Agriculture. None of this appears to be true, however, according to G.M. spokesman Tom Wilkinson, who spoke to a New York Times columnist. Instead, the diet is a version of the Sacred Heart Diet or the Cabbage Soup Diet. The diet itself is very simple. It is a seven day program with very strict restrictions on what can be eaten on each day. The one constant through the program is Wonder Soup, which can be eaten at any time and in any quantity. There are a few guidelines to follow during the program. Wonder Soup can be eaten on any day of the plan. You must drink at least ten glasses of water each day. You can add lemon or lime to your water, but absolutely no other fruit juice is allowed until day seven. You may also drink club soda, black coffee or black tea. Alcoholic beverages of all sorts are also strictly prohibited. Day One - You are allowed to eat all the fresh fruit you want, with the exception of bananas, which are not allowed. Do not substitute fruit juice for fresh fruit. Eating mostly melon, especially watermelon and cantalope, is supposed to be extremely beneficial for weight loss. Day Two - This is vegetable day. For breakfast, have a large baked potato with one pat of butter. After that, you may have all the raw or cooked vegetables you choose, but no salt or sauces. Fruit is not allowed on Day Two. Day Three - You cannot have bananas or potatoes. Other than those prohibition, you may eat a mixture of fruit and vegetables of your choice, in any quantity. Day Four - This is the only day that it is recommended to limit the amount of Wonder Soup that you eat. In addition to the soup, you will have bananas and milk. You can eat up to eight bananas and three glasses of milk. Day Five - Today is the first day you are allowed to have meat. You should have a total of 20 ounces of lean beef, and six whole tomatoes in addition to the Wonder Soup. You will also need to increase your water intake today, and drink an additional four glasses. Day Six - Eat beef and vegetables. Quantities are not limited of either, but be sure to choose lean cuts of beef. Day Seven - The final day of the program allows fruit juice for the first time. You can also eat brown rice, and all the vegetables you want. Spray a large pot with cooking spray and saute the onions, peppers, and celery until tender. Add the cabbage, and fill the pot with water. Add seasonings, and simmer until the vegetables are tender before adding the tomatoes. Because of its extreme nature, the diet should result in a fairly large short-term weight loss, but this is largely water loss, and most of the weight will be regained as soon as you return to a normal diet. The diet is very low in protein and can result in a loss of lean muscle. The extremely low calorie intake on most days also may make you feel tired, weak, or light-headed. Before beginning this or any other diet, you should discuss it with your doctor.